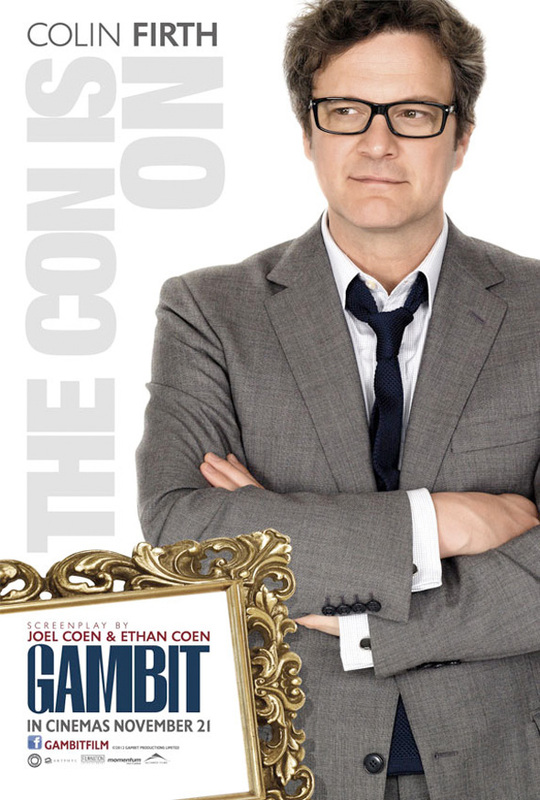 After sitting in development hell, the Coen Brothers scripted remake of the 1966 caper flick Gambit finally went into production last year with The Last Station director Michael Hoffman behind the camera and Colin Firth, Alan Rickman and Cameron Diaz in the lead roles. We've already seen a first look photo with Firth and Diaz, but now two international posters have surfaced with Firth and Rickman and a lion. The story follows British art curator Harry Deane (Firth), who devises a scheme to con England's richest man and avid art collector, Lionel Shabandar, (Alan Rickman) into purchasing a fake Monet painting. Look! 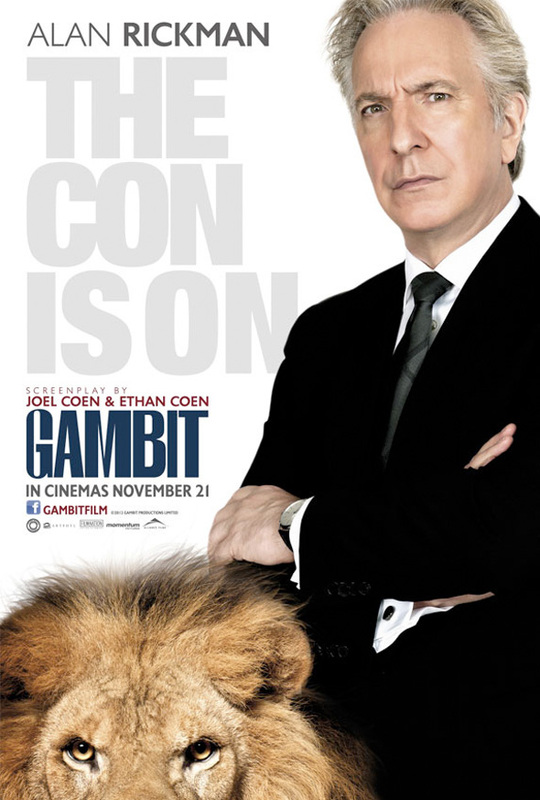 In Gambit, Private art curator Harry Deane (Colin Firth) devises a finely-crafted scheme to con England's richest man and avid art collector, Lionel Shabandar, (Alan Rickman) into purchasing a fake Monet painting. In order to bait his buyer, he recruits a Texas rodeo queen (Cameron Diaz) to cross the pond and pose as a woman whose grandfather liberated the painting at the end of WWII. Michael Hoffman (The Last Station) directs and The Coen Brothers wrote the film (a remake of the 1966 film starring Michael Caine) which hits UK theaters on November 21st this year, and hits US theaters sometime early in 2013. Well? Hahaha...I thought the same thing. Colin Firth and Alan Rickman! Love it! Alan Rickman. Impure thoughts spring to mind! 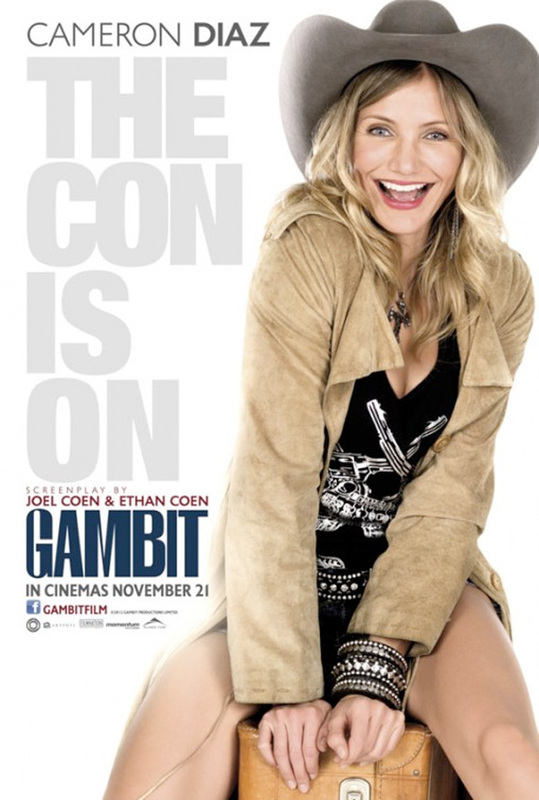 GAMBIT was one of the best scripts I read last year, and the casting is spot on (except for Diaz).